Back again in Bilbao - for better or for worse? I first visited Bilbao 20 or so years ago. It was my first stop after getting off the ferry in Santander at the start of my month long trip Inter-railing around Europe. Looking back I can’t quite remember why I made the stop; all I can remember is looking and thinking “oh”! It was grey, unglamorous, there were abandoned docks and sidings and the whole place had a feeling that it was rapidly slipping into post-industrial decline. That wasn’t what I was searching for on my travels around Europe so needless to say I didn’t stay long! 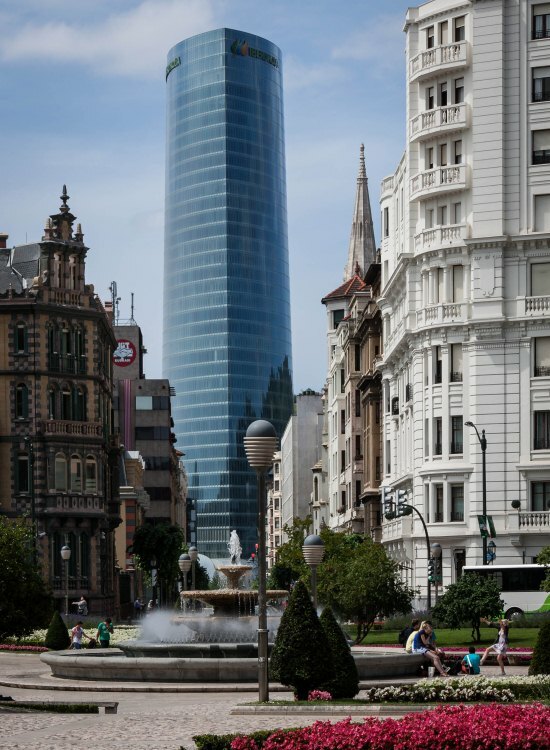 Luckily for Bilbao, the 1990s brought an ambitious plan to revitalise its urban decay. 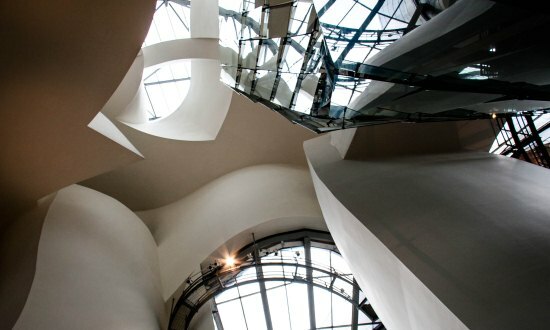 The centre of the plan came in the form of Frank Gehry’s stunning masterpiece, the Guggenheim Museum. We all know the phrase build it and they will come and that is certainly true of the Guggenheim. 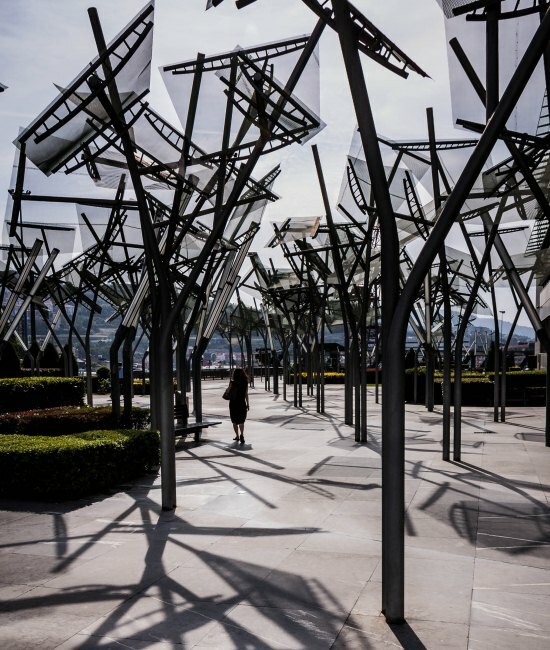 The regeneration of Bilbao has been a huge success turning it into a lovely city; perfect weekend break material as the Hubby and I found out recently when we spent a couple of days there at the start of our tour of Spain’s Basque Country. 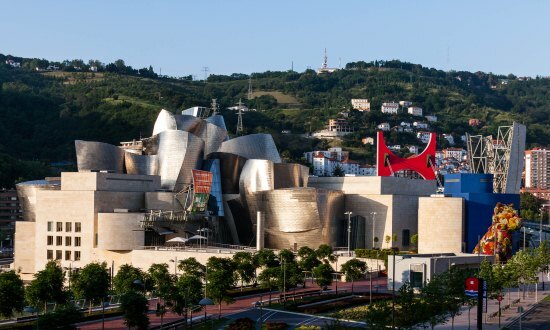 The Guggenheim Museum is undeniably Bilbao’s biggest draw and it’s truly a wonderful piece of architecture. Even if buildings don’t do it for you, this one will as it sits there glinting at you with its massive titanium and steel whale like roof; it really is beautiful and you can’t help but keep taking pictures to make sure your get its best side. The building’s heart is the 150 foot high atrium of swooping curves and galleries - it was certainly a fitting space to view David Hockney’s A Bigger Picture exhibition which the Hubby and I were lucky to catch when we visited. 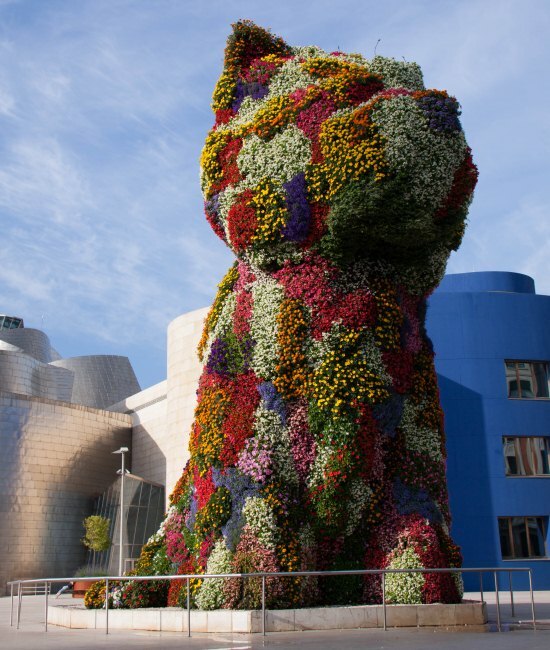 Outside tourists vie for the best spot to have their picture taken with Jeff Koon’s 12 meter tall floral puppy known affectionately by locals as El Poops. 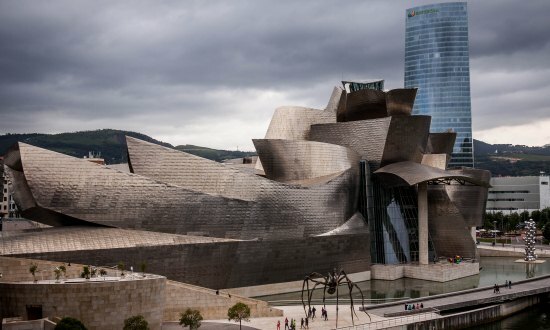 However, there really is more to Bilbao than just the Guggenheim. There’s a vibrancy and buzz about the place and a feeling that the locals enjoy life. The riverside has been totally transformed and the River Nervión, instead of oozing industrial slurry now sweeps by serenely (and cleanly) with its banks flanked by attractive tree lined walkways linked by a series of bridges such as the modern Zubi Zurim, a dazzling white creation. There’s an abundance of modern design on the streets from sculptures to buildings and even the metro is a Lord Foster design. 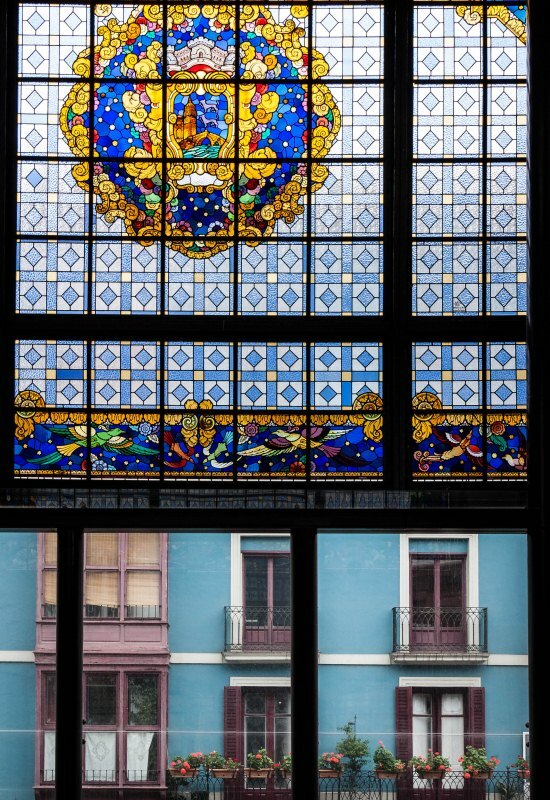 Despite Bilbao’s urban regeneration, the old town (known as Casco Viego) has thankfully been left intact. Centered around Plaza Nueva and the Siete Calle (Seven Streets) it’s a picturesque warren of pedestrianised alleys housing century old buildings, sunny squares and a treasure trove of boutiques and pintxos bars (the Basque equivalent to tapas - read more about them here); it’s a perfect back drop to spend a day wandering the beating heart of the city. At night, if you prefer fine dining to pintxos, then don’t despair as Bilbao certainly has its share of gourmet delights. Bilbao is a wonderful city with a mix of old-world charm and modern architecture; what I love is that the city has been totally redeveloped in a cohesive way so that everything fits together and you don’t have the odd modern building jarring with everything around it. 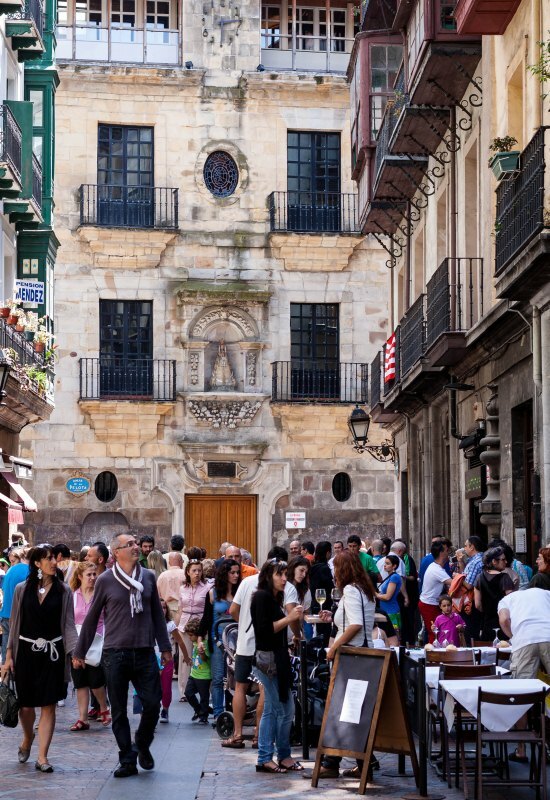 It’s also small enough to explore on foot and has some of the best food in Spain - surely that makes for a perfect weekend break? The Hubby and I certainly thought so! Bilbao was the start of our week long trip around the Basque Country. From Bilbao we took the bus for the 1 hour journey to San Sebastián (read about our stay in San Sebastián here) and then picked up a hire car to tour the Rioja-Alavesa wine region (read about the wine region here). For more details on our trip please feel free to get in touch with me. I’d be happy to arrange a trip to just Bilbao or put together an itinerary similar to the one the Hubby and I did, where our week away certainly felt much longer, which is what we like!